Today the By the People/Concordia web development team released a new Social Share feature on crowd.loc.gov! If you find something cool or interesting that you want to share with members of your Twitter or Facebook community or which you just want to copy to your clipboard and paste into a document or email you can now do this from the site in just a few easy clicks. 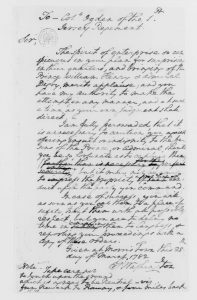 For example, I've found a page in the Letters to Lincoln Campaign that needs review. I carefully check the transcription and hit accept, and then I decide to share this page, which makes reference to conflict avoidance in a battle. Next, I decide I want to share this page with my Twitter followers, so I click the bird icon. We hope that you'll enjoy these new features, and find it easier to share pages with friends and fellow volunteers online. 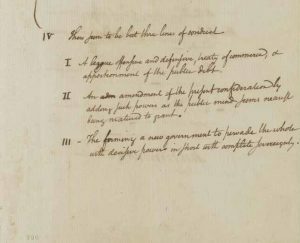 This is a guest post by for the Library of Congress blog by Julie Miller, a historian in the Manuscript Division, and Victoria Van Hyning, a senior innovation specialist in the division. This post coincided with National Handwriting Day on January 23, 2019. Reblogged here on January 25, 2019. Visit the original. 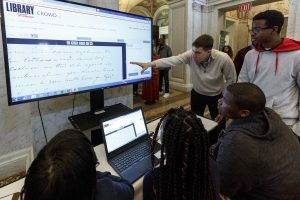 Washington, D.C., students learn to read cursive at a Nov. 19 event at the Library celebrating the 155th anniversary of the Gettysburg Address and a new crowdsourcing initiative for transcribing historical documents. Photo by Shawn Miller. “That’s so beautiful, but what does it say?” This is what we often hear from visitors to the Library of Congress when they see letters and other documents written by hand. This phenomenon — the inability of so many people to read handwriting — is the byproduct of a moment of technological change that is every bit as significant as the one that began with the introduction of the printing press by Johannes Gutenberg in the middle of the 15th century. The digital age has transformed us from people who read and write by hand to people who type and read on a screen, from letter-writers to emailers, texters and tweeters. This change is so recent that our population now includes a mixture of people born before the digital age, who learned the techniques and conventions of handwriting and letter writing, and younger people, who grew up online. While older people have had to learn the ways of the digital age, younger people know less and less about the ways of the analog world, even when its language and symbols persist into the digital — “cc,” for example, which appears inklessly atop every email message, recalls the inky blue sheets of carbon paper typists rolled into their typewriters to make copies. Why does it matter? This isn’t just a question of nostalgia, of regret for the old ways, such as the lost art of cursive, which few children now learn in school. It matters because when people are unable to read old documents, they lose the ability to make personal contact with the past. Some very old documents necessarily require interpretation by experts. For example, the Library’s collection of cuneiform tablets, written by the Sumerians on clay more than 4,000 years ago. Or the leather-bound volume of town records, in Spanish, from 16th-century Peru in the Library’s Harkness Collection. Or the 17th-century manuscript law books, in Shakespeare’s English, collected by Thomas Jefferson. 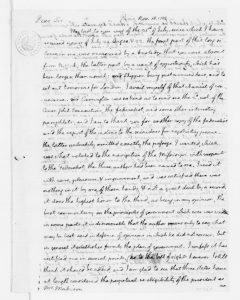 This is from an outline of a speech Alexander Hamilton gave at the Constitutional Convention in 1787. Note where he uses the long “s,” as in “Importance of the occafion.” Can you find more? But documents from the 18th century, when the United States was founded, are written in English that, with a couple of differences, is essentially modern. We sell ourselves short when we think we can’t read them. There are a few things to learn, such as the long “s,” which looks like an “f,” the relatively nonstandard spelling and punctuation and some unfamiliar abbreviations. 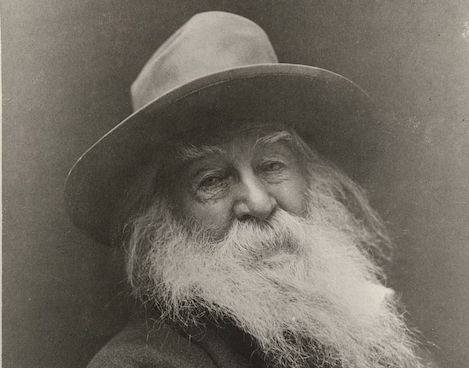 Another key to learning how to read 18th- and 19th-century writing is just to spend time looking at it, learning the writing conventions of the relatively recent past, as well as the idiosyncrasies of individual writers. In time, the letters of George Washington will become as familiar to you as, say, a postcard from your Uncle Melvin. We saw living proof of this at a Nov. 19 event at the Library marking the 155th anniversary of President Abraham Lincoln’s Gettysburg Address. Members of the public and students from local Washington, D.C., schools were invited to the Library to view a copy of the Gettysburg Address and try their hands at transcribing letters and other documents in the Abraham Lincoln Papers on the Library’s newly launched crowdsourcing website. 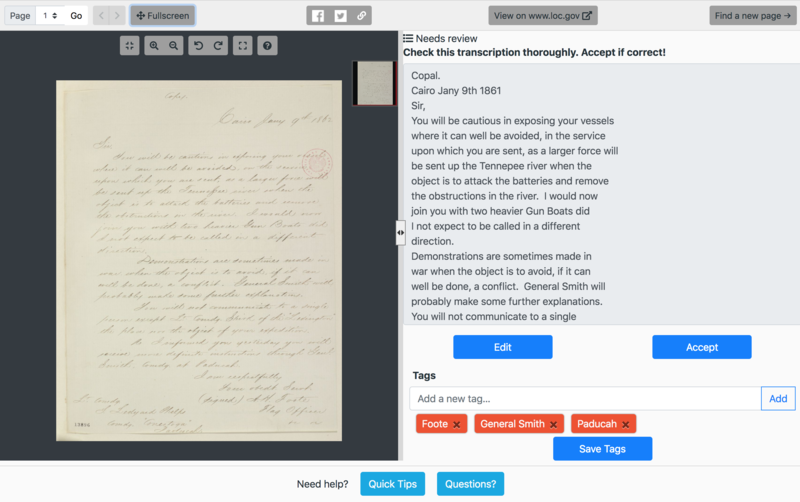 Titled “By the People,” the site makes images of thousands of original documents available to volunteers online, inviting them to type documents, tag them with keywords to make them searchable and review typed documents for accuracy. The transcripts are then added to the Library’s website alongside the original documents. Here is an example of what the long “s” looked like in print. 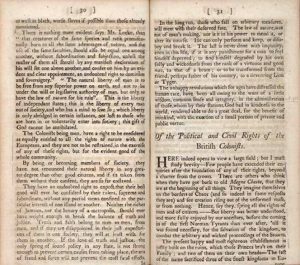 From “The Rights of the British Colonies Asserted and Proved,” a 1764 book by James Otis. At first, many of the visitors on Nov. 19, viewing 19th-century handwriting, said “I can’t read this.” But when asked to pick out a letter or word anywhere on the page and then build on that kernel of understanding, they soon started to identify familiar words, then phrases. By the end of a half hour, they were able to read 70 percent or more of documents. 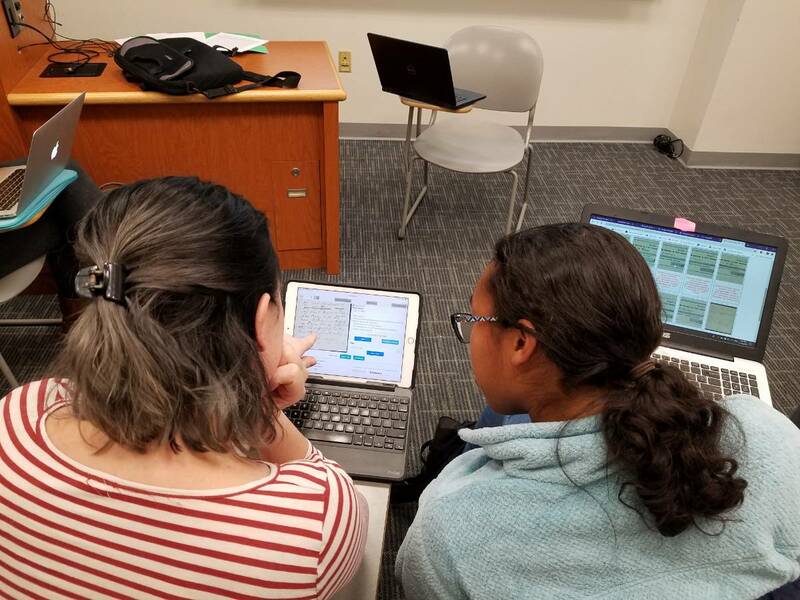 Dozens teamed up to arrange the full text of the Gettysburg Address using a large-format printed “puzzle” made of the words composing Lincoln’s speech. They eagerly hunted through piles, looking for letters and words that were becoming increasingly familiar. 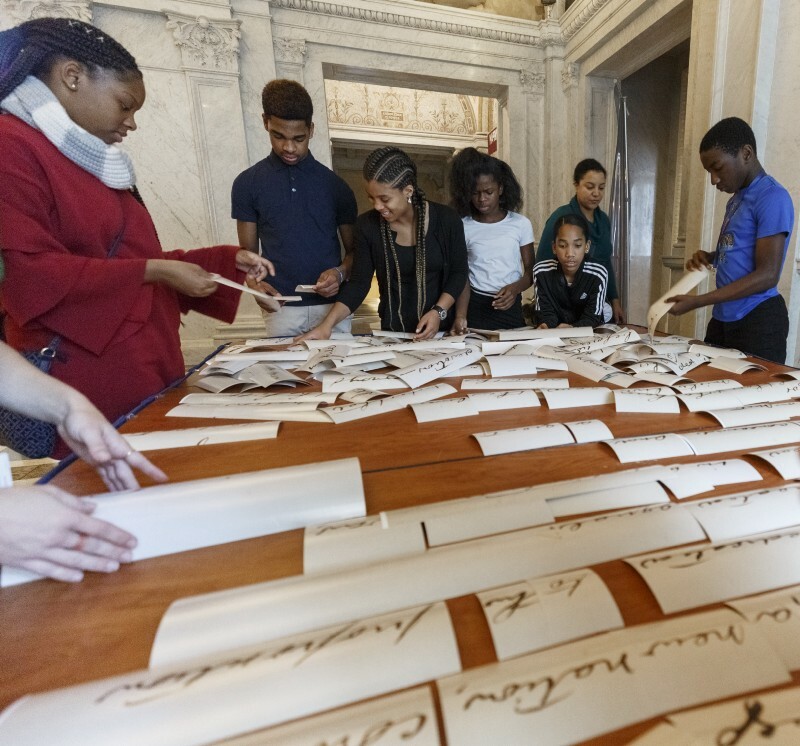 Patrons, and students from local DC schools learn cursive with a large printed version of the Gettysburg Address where each word is cut into pieces. A dozen patrons work together to arrange the words in order. Many said they wished that cursive was still taught in schools, as do many people who come to the Library. Some teachers and students vowed to take the project back into their classrooms or afterschool clubs. Although we live in a world where writing by hand is less necessary than before, it is vital that we keep the knowledge of cursive and other handwriting alive. “By the People” is just one way in which you can encounter original documents and hone your skills, but we encourage you to give it a try. The more you transcribe and review, the more you will learn. At the same time, you will help to make Library of Congress collections more readily available for everyone.